As with every discipline, cooking has certain rules and a proper way of doing things. And in order to achieve success, cooks and bakers need to know these rules of the kitchen, from the right way to read a recipe to how to use a knife properly. Once you have these 10 tips under your belt, you will feel confident in the kitchen and will produce recipes worth raving about. Whoever said, "If you can read, you can cook" had obviously never cooked anything. 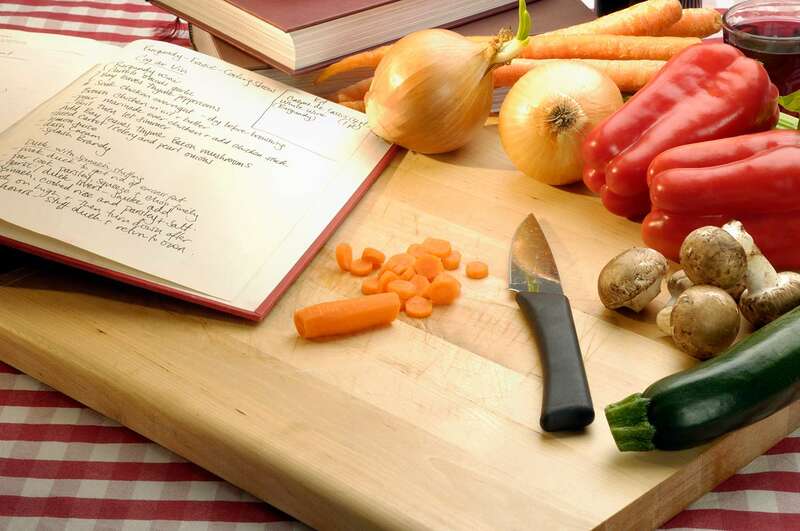 Recipes are written in a special language you must understand before you start cooking. The grammar in an ingredient list specifies how you will manipulate an ingredient; for example, "1/2 cup fresh parsley, chopped" means you will chop the herb after it is measured, while "1/2 cup chopped fresh parsley" needs to be chopped before it is measured. It is important to learn how to interpret a recipe before you even set foot into the kitchen. In a series of books written in the 1940s, Betsy from the book "Betsy & Joe" is taking a Home Economics class in high school. She is told to baste the turkey. Her friends frantically gesture to her, using hand signals. She thinks it means to sew the turkey, so she blurts out, "I can't! I don't have a needle and thread!" Cooking and baking vocabulary includes many words that are unique to these skills, from basting to folding to cutting in. A good glossary is essential for successful cooking. Browse through a cooking glossary or two to make sure you understand the terms and the language of cooking. If your food makes someone sick, it does not matter how good it tastes, how expensive the ingredients were, or how complicated it was to make. All of that effort has been lost. The consequences of a food-borne illness can be lifelong. It is important to be informed about how to keep your food safe, including knowing the right internal temperatures for meats, how long certain foods can sit out, and how to avoid cross-contamination. This tip applies more to baking than cooking; measuring really is the key to baking well. This means you need separate measuring tools for wet and dry ingredients. Nested (graduated) measuring cups are for measuring dry ingredients, and, for liquid ingredients, you need a clear glass or plastic measuring cup with a pouring spout. Both wet and dry ingredients can be measured in measuring spoons. A knife is the best tool in the kitchen (apart from your hands). Learn how to use a knife correctly and you will cut your prep time down to mere minutes. Becoming familiar with the proper way to cut and slice will also help prevent injury with one of the sharpest tools in the kitchen. Begin with learning to distinguish the different types of knives as well as the various style of cuts (chop, dice, julienne, etc.) and then move on to the proper way to hold and maneuver a knife. Many foods, particularly baked goods, are finished cooking when the inside appears a certain way. But since we can't see through the pan and the food, performing a doneness test is necessary. Learn about all the different doneness tests—from cakes to pies to cookies—to make every baking adventure a success. Part of the fun of cooking and baking is changing recipes to make them your own by substituting foods you like. But there are still rules to follow as some ingredients may not react the same or require a different amount in a recipe. Learn good substitutes for everything from cheeses to spices to chocolates and almost any swap will be a cinch. Equivalents are another important part of cooking. How many crackers should you crush to make a cup of crumbs? How about the number of bananas you need to make one cup of mashed fruit for a banana bread? Luckily, there are charts available offering a variety of equivalents for a wide range of ingredients. Food safety and kitchen safety are two different things; while the first is knowing how to safely handle the food, the later is about how to handle kitchen equipment, emergencies, and yourself while cooking. For example, it is important to know how to extinguish a fire, remember to always use oven mitts, and wear safe clothing, especially when cooking over a gas stove. A well-run, safe kitchen is one where the cook and the family feel comfortable, which, in turn, results in well-made food! If you understand a bit about the science behind cooking, it will make you a better cook. Learn what roles salt plays in recipes, how different fats affect baked goods, and why you should alternate wet and dry ingredients when mixing certain batters. Having a grasp on which ingredients do what and how certain techniques work will allow you to predict, which means you can invent, opening the door for improvisation and substitutions—with confidence. Finally, planning a meal is an integral part of cooking. 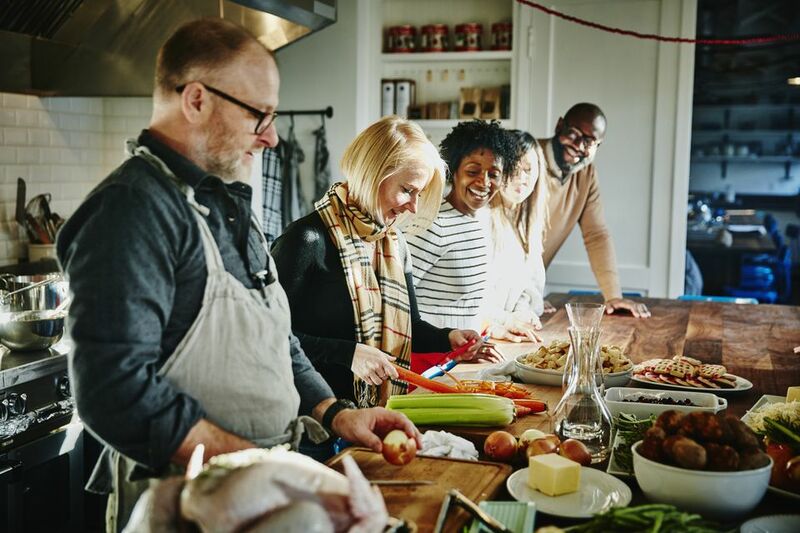 Learn which foods go best together, why some food combinations are better for your health, and how to plan the cooking schedule so all of the dishes arrive at the table at their peak of perfection. The dishes' textures, colors, and flavors should all be taken into consideration to make a visually appealing, palate pleasing, and cohesive meal.